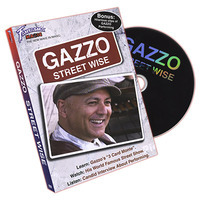 Today, when you order "Gazzo Street Wise by Fantasma Magic - DVD", you'll instantly be emailed a Penguin Magic gift certificate. You can spend it on anything you like at Penguin, just like cash. Just complete your order as normal, and within seconds you'll get an email with your gift certificate. Okay... The material on the dvd is great! His live performances and lecture were awesome as usual. His interview was okay, was kinda brief and the interviewer was not too good but Gazzo answered them good. 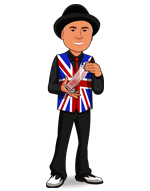 His 3 card monte is just brilliant! Also there are a few more things on there that are also great! The only thing that i was slightly dissapointed in was the interview, I guess I was hoping for it to be a bit more detailed and longer but it was good.